Science doesn’t have all the answers. There are plenty of things it may never prove, like whether there’s a God. Or whether we’re living in a computer simulation, something proposed by Swedish philosopher Nick Bostrom and others, and maybe your stoned friend Chad last week. This kind of thinking made at least one person angry, theoretical physicist and science writer Sabine Hossenfelder from the Frankfurt Institute for Advanced Studies in Germany. Last week, she took to her blog Backreactions to vent. It’s not the statement “we’re living in a simulation” that upsets Hossenfelder. It’s the fact that philosophers are making assertions that, if true, should most certainly manifest themselves in our laws of physics. “I’m not saying it’s impossible,” Hossenfelder told Gizmodo. “But I want to see some backup for this claim.” Backup to prove such a claim would require a lot of work and a lot of math, enough to solve some of the most complex problems in theoretical physics. So, you’d like to go prove that the universe is actually a simulation built by some programmer. No, you’re not religious and you’re not saying that God created the universe! You’re just saying that some all-knowing higher power designed the universe and life in his image, which you think is completely different. Let’s start with the assumption that ‘computer simulation’ means we’re living in a universe where all of space and time is based on discrete bits of data like a computer, with 1s and 0s. That would require everything in the universe, at its smallest scale, has some definite property, some obvious state of yes or no. We already know that isn’t true, explained Hossenfelder. There are few definite things in quantum mechanics, only a probabilities. Elementary particles like electrons have a property called spin, for example. Quantum mechanics says that if we’re not looking at the particles, we can’t say what their spin value is, we can only model the probability of each spin value. That’s what Schrödinger’s cat is all about. If some process determined by quantum mechanics, like radioactive decay, was in charge of whether a cat in a closed box was alive or dead, then our present understanding of physics implies the cat is both alive and dead simultaneously, until we open the box to take a look. Quantum mechanics and the classical bits computers are based on don’t get along. If you expand the problem, you can code lots of classical bits, whose values are fixed, into quantum bits. Quantum bits don’t have a definite value of zero or one, but instead have some probability that they could assume either value. One physicist, Xiao-Gang Wen at the Perimeter Institute, has tried to model this exact thing, explaining the universe as being made of these “qubits.” Hossenfelder said that Wen’s models seem to mostly agree with Standard Model of physics, the mathematics behind all of our particles, but still can’t get his models to correctly predict relativity. And, “he’s not claiming we’re living in a computer simulation,” said Hossenfelder. He’s just describing a qubit-based universe. Any proof that we’re living in a simulation would also need to re-derive all of the laws of particle physics (and special and general relativity) using a different interpretation of quantum mechanics than what our current laws are based on, in a way that perfectly describes our universe. There are people actually devoting their lives to doing these things, and so far, it’s not adding up. Theoretical computer scientist Scott Aaronson said that there are still theories combining gravity and quantum mechanics that might work if the universe were made with quantum bits—so if you’d like to solve one of the toughest problems in theoretical physics, definitely give it a go. Aaronson was more in the why-does-it-matter camp when it comes to the question of whether we’re in a computer simulation or not. “Why not simplify the theory by cutting the aliens out of it,” he asked, “if they’re not really adding anything to the predictions?” Essentially, the aliens or master programmer is invoking some sort of higher being to explain away our problems. And if our theories work without us living in a simulation, why do we need the simulation explanation at all? The real shame of the whole issue is that modifying the question can make for some really interesting research questions. 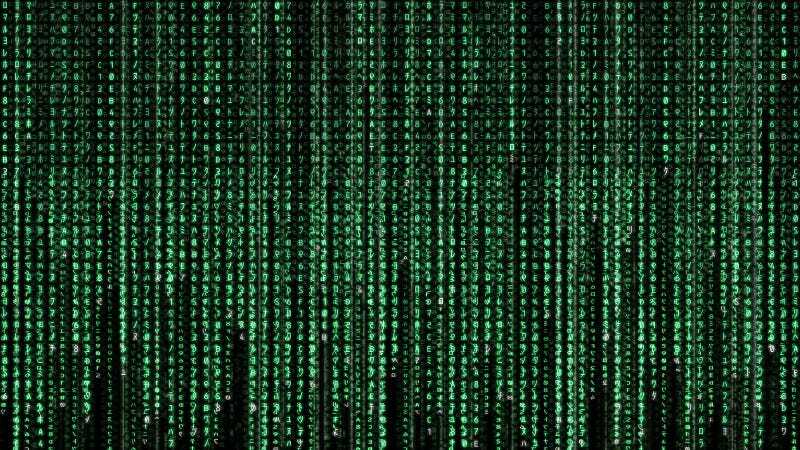 For instance, can the rules of computing can create a simulation like the universe? A universe like ours would potentially require 10^122 qubits, said Aaronson. (That’s 1 with 122 zeroes after it, a meaninglessly large number—there are 10^80 atoms in the universe, approximately). And can the universe solve the halting problem, that is, can the universe calculate its own end, something computer programs can’t do? Ultimately, someone who believes the universe is a simulation can just alter the simulation’s parameters so they’re always right. But that’s not science, it’s religion with aliens or a master programmer instead of God, and more boring because there aren’t any fun songs or tasty food rituals. So, neither Gizmodo nor Hossenfelder nor Aaronson are saying we do or don’t live in a simulation. We are saying that if you think you can prove it, you’ll need a lot more than some hand-waving or philosophical waxing. You’ll need some hard evidence that the fabric of the universe itself works the same way a computer does, and agrees with all of our most complex laws of physics.